When will be In Justice next episode air date? Is In Justice renewed or cancelled? Where to countdown In Justice air dates? Is In Justice worth watching? 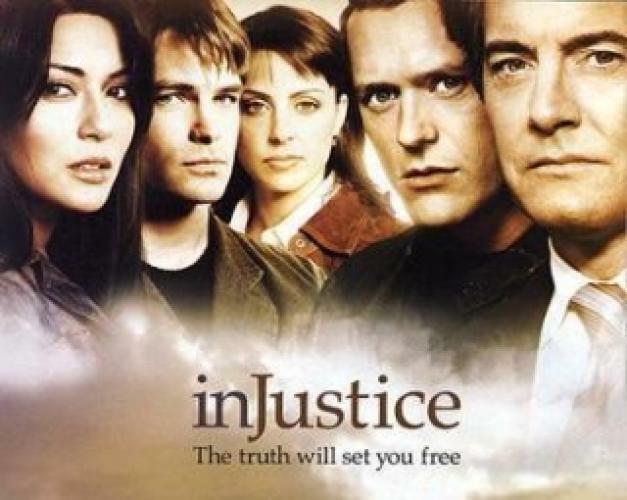 In Justice stars Kyle MacLachlan as David Swain, an attorney who decides to head the Justice Project, which is a non-profit organization that is made up of young associates who try to overturn wrongful convictions, and to bring the falsely accused out of jail and put the real criminal behind bars. The investigator to help Swain is former cop Charles Conti who also helps keep Swain on his toes. In Justice next episode air date provides TVMaze for you. EpisoDate.com is your TV show guide to Countdown In Justice Episode Air Dates and to stay in touch with In Justice next episode Air Date and your others favorite TV Shows. Add the shows you like to a "Watchlist" and let the site take it from there.